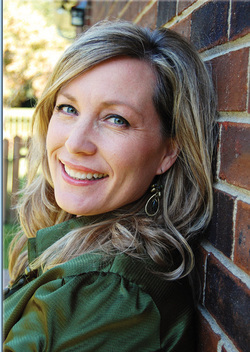 Author, Encourager, Mom - Sheryl Griffin resides in Franklin, Tennessee with her husband Doug. They have two children and are actively involved in their church. Sheryl enjoys encouraging others through writing, speaking, and blogging. 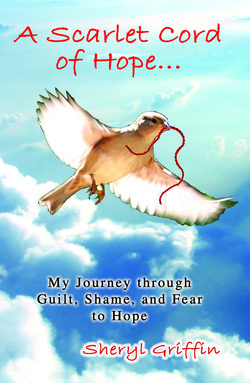 A Scarlet Cord of Hope is the true life testimony of Sheryl Griffin. As God has healed her on her journey, she wants to share her healing with you. From alcoholic parents, to an abusive first marriage, to being diagnosed with Post Traumatic Stress Disorder, chances are many of her trials have also been yours. Sheryl had a past that hung on her neck like a scarlet cord. Shenow knows that what she thought was a noose is actually a God-given lifeline to His grace. Discover what Sheryl found on her journey...Love, mercy, forgiveness, and hope. "A powerful story and a must-read for anyone who's ever felt battered and broken down by life." "This book had me hooked from the first page." "Knowing Sheryl's struggles makes her survival and triumph that much sweeter."